ACEC/PAC is the engineering industry's primary tool for political engagement at the national level. Supported by engineering professionals from across the country who work for member firms, the sole purpose of ACEC/PAC is to elect candidates to the U.S. House of Representatives and U.S. Senate who support policies and legislation favorable to the engineering industry. Help ACEC Oregon meet our 2018 ACEC/PAC fundraising goal! Log on to the ACEC/PAC website, click the "Contribute Today" button, located on the right-hand side of the page, and you'll find several options for making a contribution, including sweepstakes which offer donors a chance to win a prize. ACEC Oregon, ACEC, and the ACEC/PAC protect your business! Supporting our members of Congress that support the engineering industry. 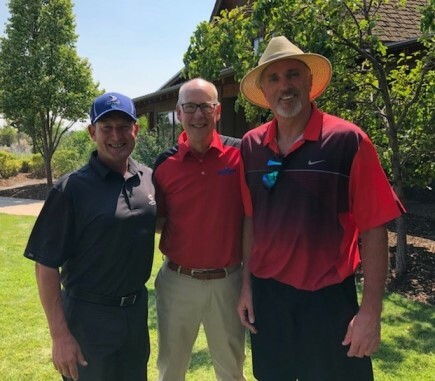 ACEC Oregon participated in Congressman Greg Walden's 16th Annual High Desert Classic on August 6, 2018 at Brasada Ranch in central Oregon. 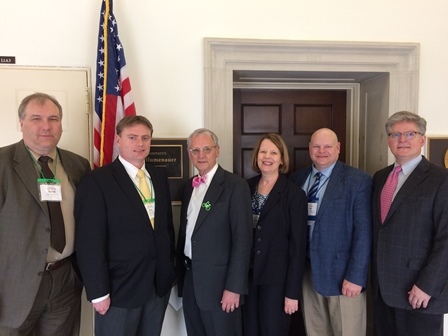 ACEC’s “citizen lobbyists” participate in visits to Capitol Hill as part of ACEC’s Annual Convention and Legislative Summit held every April in Washington, D.C.
Development and passage of major infrastructure legislation. Emphasis on passing balanced legislation which incentivizes private investment and P3s (where appropriate). Regulatory reforms to streamline infrastructure delivery. 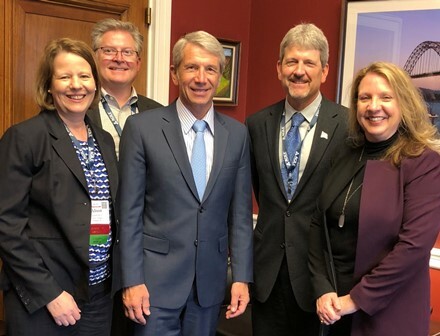 ACEC Oregon members lobbied Capitol Hill as part of Legislative Summit activities during the ACEC National Annual Convention, April 15-18, 2018, in Washington, DC. The group met with each of Oregon's members of Congress and southwest Washington's Jaime Herrera Beutler. Pro-business reforms to the nation's tax code. 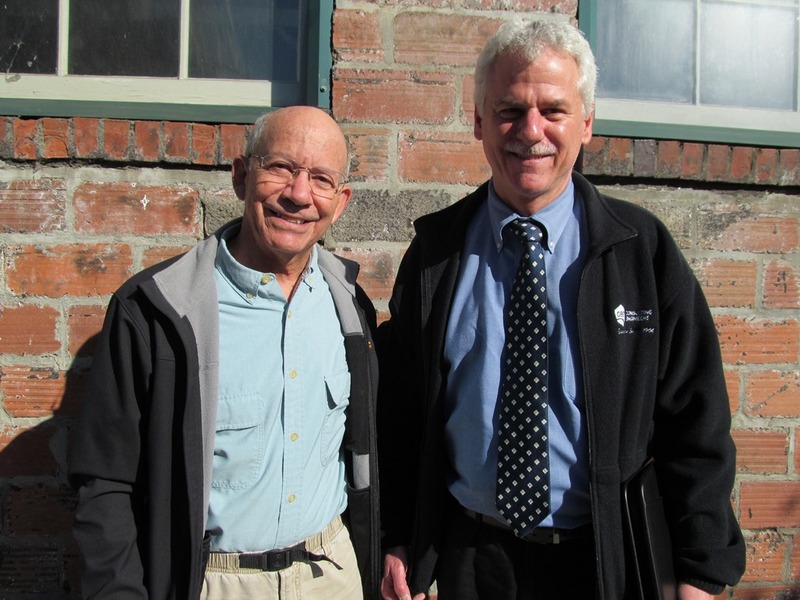 ACEC Oregon members meet with Congressman Peter DeFazio. ACEC Oregon members meet with Rep. Suzanne Bonamici. 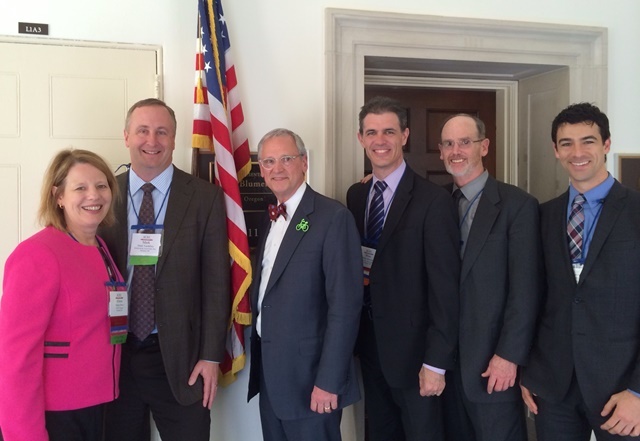 ACEC Oregon members lobby Capitol Hill. 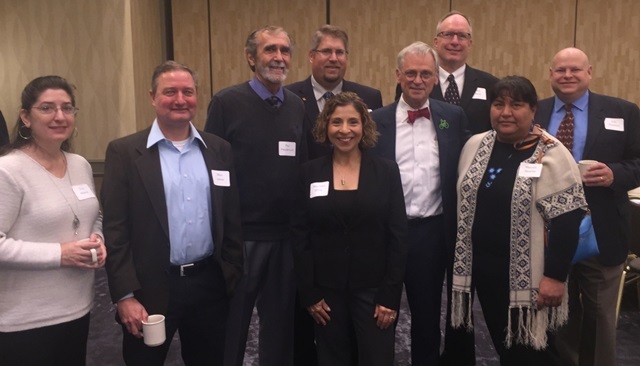 Above the group is pictured with Congressman Earl Blumenauer. 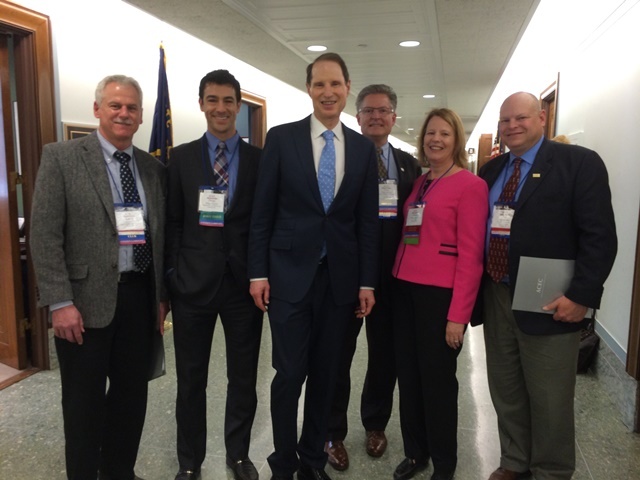 Ron Wyden during ACEC National's Legislative Summit. 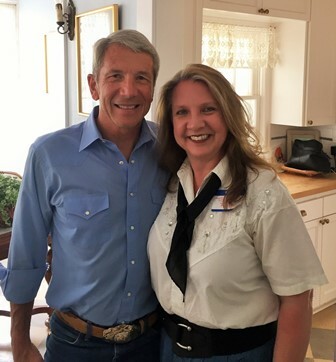 More interactions with Oregon's members of Congress. 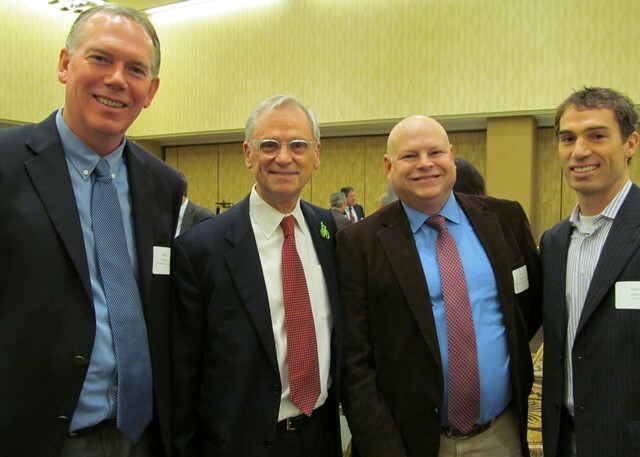 Pictured above from left are: ACEC Oregon Vice President Mike Meyer, Conforth Consultants, Inc.; Congressman Blumenauer; ACEC Oregon Past President Erik Peterson, Peterson Structural Engineers, Inc.; and ACEC Oregon member Matt Lewis, Cardno. About 200 people attended the Portland event. 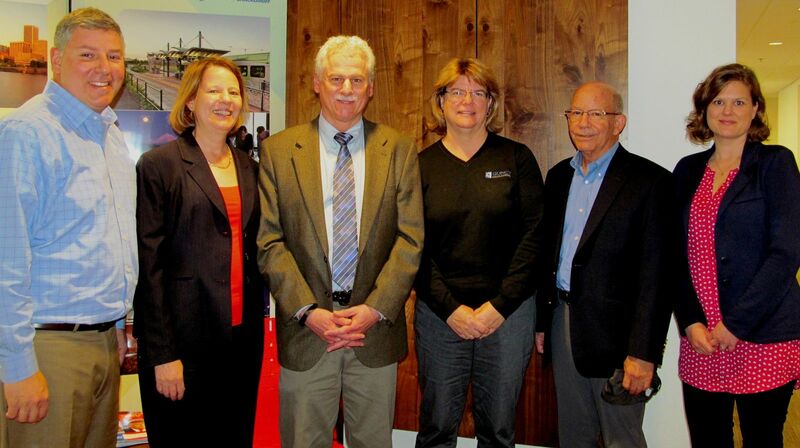 ACEC National PAC funds sponsored ACEC Oregon's table. 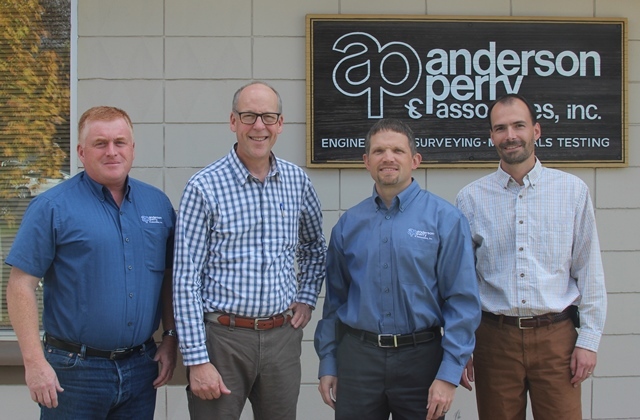 Pictured above from left to right are: Brad Baird; Walden; Andy Perry, ACEC Oregon Regional Vice President (2012-2016); and Dave Wildman. Supporting political programs like ACEC/PAC is the best thing we can do to make sure engineering firms have a voice at the table when key decisions are made affecting our future. 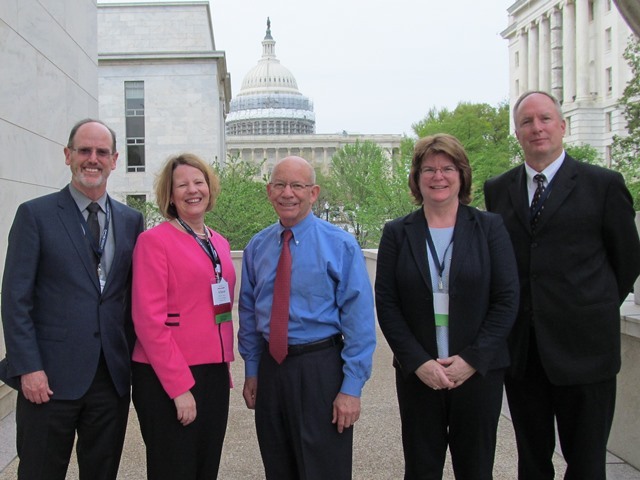 "Why You Should Support Your PAC"
Click here for the latest news on advocacy from ACEC National. Tony Roos, Kittelson & Associates, Inc.
I’d like to thank all of the ACEC Oregon members who have made personal contributions to ACEC/PAC. There are many critical legislative issues and challenges that our industry is facing at the national level; ACEC/PAC is educating and influencing the decision-makers involved in these important issues. Hans Hadley, WEST Consultants, Inc.
Marc Butorac, Kittelson & Associates, Inc.
Christopher Brehmer, Kittelson & Associates, Inc.
Erik Peterson, Peterson Structural Engineers, Inc.
Tonya Finley, David Evans and Associates, Inc.
Kevin Bracy, David Evans and Associates, Inc.
Cindi Polychronis, David Evans and Associates, Inc.
Larry Van Dyke, Kittelson & Associates, Inc.
Thomas Westover, Cornforth Consultants, Inc.
Gregg Scholz, R & W Engineering, Inc.
Karen Tatman, Quincy Engineering, Inc.
Mike Meyer, Cornforth Consultants, Inc.
Ron Vandehey, Miller Consulting Engineers, Inc.
Benjamin George, Cornforth Consultants, Inc.
Dan Trisler, Hart Crowser, Inc.
Fred Wismer, Kittelson & Associates, Inc.
Tina Adams, Casso Consulting, Inc.
Ed Chamberland, David Evans and Associates, Inc.
Anthony Yi, Kittelson & Associates, Inc.
Mike Baker, David Evans and Associates, Inc.
Jeff Whitson, David Evans and Associates, Inc.
Ken Stoneman, David Evans and Associates, Inc.
Tim Blackwood, Pali Consulitng, Inc.
Steve Fox, Epic Land Solutions, Inc.
Christine Nickerson, Epic Land Solutions, Inc.
Craig Sheahan, David Evans and Associates, Inc.
Alex Soo, David Evans and Associates, Inc.
John Howorth, 3J Consulting, Inc.
Mark Vandehey, Kittelson & Associates, Inc.
Diego Arguea, Kittelson & Associates, Inc.
Travis McFeron, Peterson Structural Engineers, Inc.
Scott Wallace, The Wallace Group, Inc.
Tim Blackwood, Pali Consulting, Inc.
Darren Hippenstiel, Kittelson & Associates, Inc.
Allison Pyrch, Hart Crowser, Inc.
Gerry Heslin, Cornforth Consultants, Inc.
Brandon Nevers, Kittelson & Associates, Inc.
Gavin Oien, David Evans and Associates, Inc.
Darren Beckstrand, Cornforth Consultants, Inc.
Wade Osborne, Cornforth Consultants, Inc.
Dan Houf, Harper Houf Peterson Righellis, Inc.
Chris Carpenter, Cornforth Consultants, Inc.
Brent Black, Cornforth Consultants, Inc.